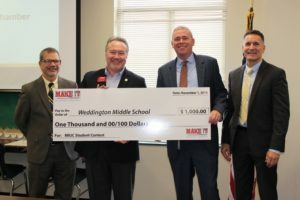 Fred Edwards (second from left), Chair of Make It in Union County, presented $1,000 checks to four principals from Union County Public Schools that had the highest participation in Make It in Union County Week (2018). 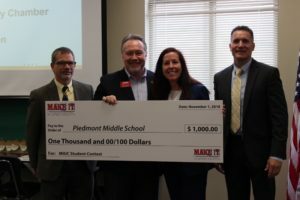 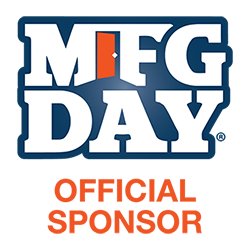 The schools are encouraged to use the money for STEM-related technology. 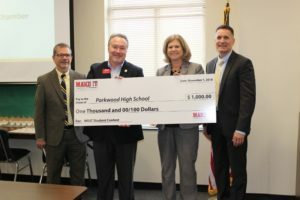 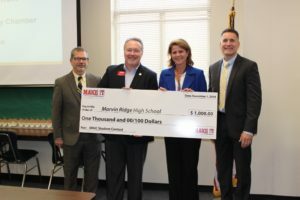 Robert Filter (far left), Director of Career Readiness and Dr. Brad Breedlove (far right), Chief Academic Officer, joined Mr. Edwards in the presentations.